You are here: Home / Yamaha Digital Pianos / Yamaha YDP-164 review: Upgrade over the YDP-144 and YDP-163? The Yamaha YDP-164 is one of the newer additions to the Yamaha Arius line, replacing the YDP-163. The Arius line is popular for a variety a reasons—most notably for providing quality digital pianos with good key action and sound for an affordable price. 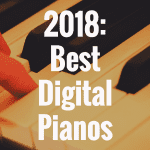 They are also good entry-level digital pianos, as well, capable of being someone’s first digital piano that they plan to grow with for years to come. But does the YDP-164 truly live up to the hype? Well, in this Yamaha YDP-164 review, we’re going to dive directly into that question by explaining what this new piano has to offer, as well as see if it has any weaknesses that are worth noting. To better help you make the right piano decision, check out our interactive table below, where you can compare the Yamaha YDP-164 to other pianos in the Arius line (like the YDP-144 or YDP-184) along with other popular digital pianos on the market. If you’re familiar with the Yamaha YDP-163 (or perhaps you even own it), you may be wondering what has changed or been upgraded in the YDP-164, and if it’s worth a bit more money to purchase the newer model. Well, I’d like to tell you that there has been a sweeping list of changes that utterly obliterates the YDP-163—but that would be disingenuous. The truth is, the YDP-163 was a really great digital piano without any overwhelming flaws, so the YDP-164 didn’t have to change a whole lot. On the one hand, that’s a great thing. On the other hand, if you’re looking for some big game changer here between the YDP-163 and YDP-164, well, you might be a little disappointed. With that said, there is absolutely something worth mentioning that indeed has been changed. And that is in regard to the sounds of both pianos. The YDP-163 featured a piano sound engine that included the Yamaha CF Grand Piano. On the YDP-164, this has been upgraded to include the Yamaha CFX Grand Piano. The CFX Grand Piano sound is far richer and much more vibrant and alive than the CF Grand. 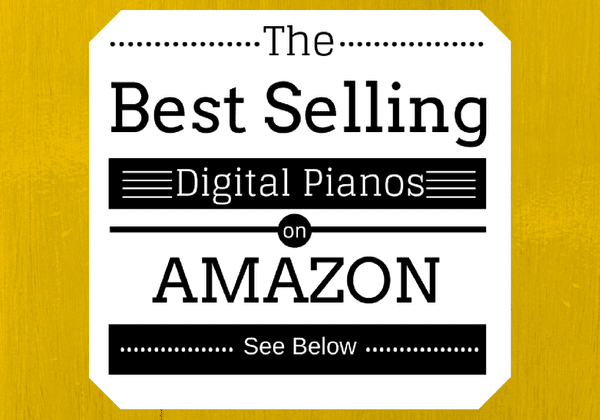 Below, please take a moment to view some of the best selling digital pianos available on Amazon, and then see how well they stack up to the YDP-164 as we progress throughout this article. 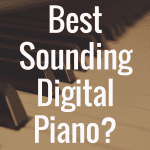 A digital piano needs quality sounds, and you definitely get that with the 164. And although you only get 10 voices on board the instrument, the ones you do get are very nice. 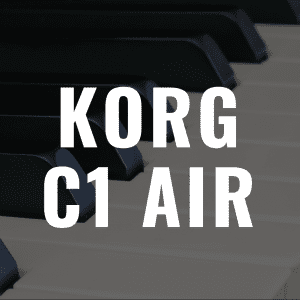 In addition to the CFX Grand Piano sound, you’ll be able to enjoy a Pop Grand Piano Sound. This is a bright sound that has a jazzy feel to it. And then, you also get a Mellow Grand Sound, which has a sweet and very upbeat sensibility. Additional sounds include things like Jazz Organ, Vibraphone, Pipe Organ, 80s Electric Piano sound, Classic DX, Harpsichord and Strings. Of course, you can layer two sounds on top of one another. One way you can do that is manually via the instrument itself, and the other way is via the Smart Pianist app (which I’ll get to later). If you don’t want to (or simply don’t have the means to) use the app to layer sounds, you can do it manually quite easily. Just hit the Voice button and then select the appropriate keys that are in the second octave. Each key represents a different sound, and if you press two of them together, you’re able to layer one on top of the other. So if you’ve ever wanted to play a Mellow Grand Piano sound with Strings, or an Electric Piano with the Pipe Organ sound, you’ll be able to do just that. The hammer action remains the same as it was on the YDP-163—but that’s a good thing, because the hammer action was already quite good to begin with. On the YDP-164, you get Grand Hammer Action 3, or GH3. Along with having graded keys—which allows the keys to feel heavier in the lower end of the keyboard and lighter in the higher end—the YDP-164 also features a three sensor configuration in the keys, allowing you to have a more expressive playing experience that feels much more like what you’d feel playing on an acoustic pianos’s keys. You also get simulated Ebony and Ivory keys, as well. They are fairly grippy to the touch, so whenever your fingers get sweaty, you won’t have to worry about your hands accidentally slipping off the keys and ruining your performance. If you have an iPhone or iPad, it’s very much a wise idea to use the Smart Pianist app. To do so, you’re first going to want to use a camera adaptor kit to connect your device to the side of your piano. Once you do that, you can open the app to discover that you can control the entire piano using your phone or iPad. If you want to change voices, layer, split, or creating a recording, you can do this all through the app. This app is also great if you’re learning how to play piano, because there is a pretty handy feature here called Chord Chart. What Chord Chart does is allow the app to analyze some of your favorite songs that might already be on your device. It’ll then display chord symbols on the screen, allowing you to play alongside your favorite song. 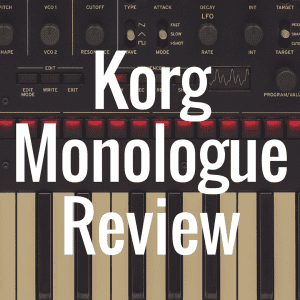 You can tell that this would be a extremely fun way to learn to play on a keyboard, because now you can learn to play one of your favorite songs, make a recording of it, and then play it back to make sure you got it right. You could even utilize the Split feature on the app, recording your left hand playing the proper chords of your favorite song, and then listening back to the recording and trying to do the same thing with the right hand. As you can see, there’s honestly a whole host of ways to interact with this app. If there was one downside to the app, it would be the fact that Chord Chart doesn’t have the ability to analyze and display chord symbols for every song available. In fact, if your song is “harmonically complex,” it likely won’t work. But if you have more “simple” songs, like Ed Sheehan’s “Thinking Out Loud,” for example, then it’ll likely work very nicely. 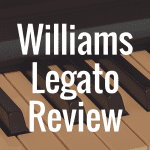 Another downside is that, at least as of this publication, there’s no Android support available if you want to use the YDP-164 and Smart Pianist app together. So if you had, for example, a Samsung phone or tablet, you’d unfortunately be out of luck if you wanted to use the app with this piano. The Yamaha YDP-164 vs YDP-144: Which is Better? The Yamaha YDP-164 costs about $300 more than the YDP-144, and on the surface, many would automatically assume that a higher price tag means “better.” But that’s not necessarily the case, as the YDP-144 and YDP-164 share more similarities than you might think. Both have the same amount of polyphony (192), the same amount of voices (10, including both having the Yamaha CFX Grand Piano sound), and both work well with the Smart Pianist app. There are two noteworthy differences between these two pianos, however. The first is in key action. The YDP-144 features a GHS or a Graded Hammer Standard keyboard. While all the keys are indeed graded, GHS is Yamaha’s lower level of hammer action. It’s still good, but not as great as some other Yamaha pianos. The YDP-163 features a GH3 or Graded Hammer Action 3 keyboard. This not only features graded keys, but also a three sensor configuration that provides more control and expression when you sit down to play the notes. The keys also feature simulated Ebony and Ivory keytops, which are grippy. This will help to absorb moisture that comes from your finger tips onto the keys, preventing your hands from slipping while playing. The second thing worth noting about the YDP-164 is that it has much better amplification than the YDP-144. And because of that, the sound will be more powerful and much more easily fill a room than the YDP-144. The 164 features a 20 watt speaker system, and because there are two speakers on the 164, you get a total of 40 watts of power. The 144, by contrast, is really only working with an 8 watt speaker system, so you’re only getting a combined 16 watts of power. That’s kind of a monumental difference, and while the YDP-144 will certainly sound good, if you absolutely know the sound and power are of the utmost importance, you’ll probably want to roll with the YDP-164. Is the Yamaha YDP-164 Good for Beginners? 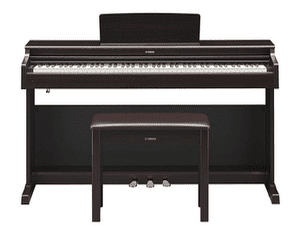 One of the things I think is very nice about the Yamaha Arius line of pianos is that they are classy looking pianos that are quality in appearance and built-in features, while also being affordable. And the word “affordable” is quite important, especially for beginners, who don’t want to shell out an overabundance of money for an instrument that they’re trying out for the first time. What I like about the YDP-164 is that it’s a piano that I think is quite nice for a beginner because it is a substantial piano that can integrate well with technology via the Smart Pianist app, help you learn to play piano, and is sophisticated enough to be an instrument you can grow with as your skills progress and you become a better pianist. Is the YDP-164 going to be your “forever piano?” No, probably not. 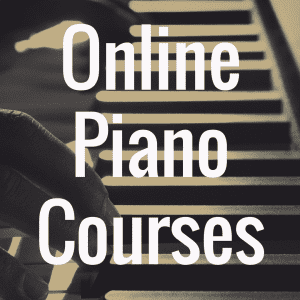 Eventually, if you hone your skills and become quite proficient on the piano, there’s a good chance you’ll want to graduate to playing on actual wood keys. And if that’s the case, you’ll probably end up wanting something like the Yamaha CLP-545. But until then, the YDP-164 is more than adequate for your needs, so long as you have the space and the money to afford it. With ten great sounds, 192 notes of polyphony, and the ability to control almost every aspect of the piano via an iPhone or iPad app, the Yamaha YDP-164 is a beautiful digital piano that is capable of being enjoyed by beginner pianists, as well as those looking for a great digital piano for advanced pianists too.